Kanye West has filed a lawsuit against an insurance company for not paying him following his cancelled Pablo Tour. Kanye's touring company filed the lawsuit against Lloyd's of London to get its money back, saying it had a policy with Lloyd's to cover cancellation or non-appearance fees. 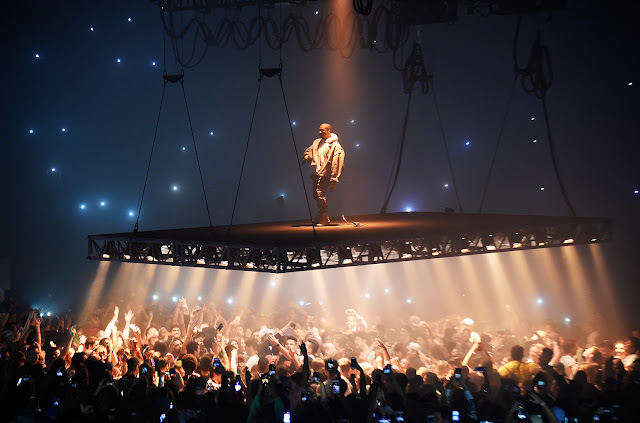 Kanye cut his tour short after he was hospitalised for 8 days at UCLA Medical Center in late November. However, Lloyd is refusing to pay up ,alleging Kanye's marijuana use caused his breakdown. Very Good Touring says Lloyd's has no proof to back up its weed theory, and is merely looking for "any ostensible excuse no matter how fanciful" to deny payment on the policy.